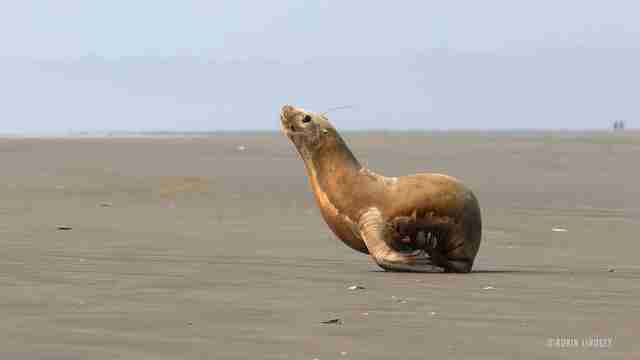 This adorable little sea lion celebrated his successful rehabilitation on Monday by gleefully waddling into the ocean. 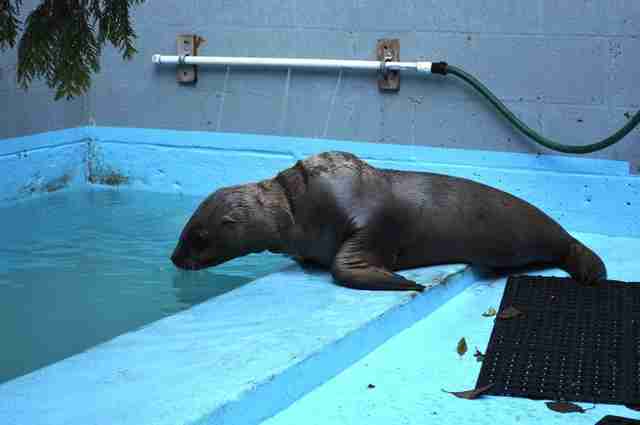 Leo the sea lion was found emaciated and alone on the Washington coast late last year. At 4 months old, he had already been wounded during his brief time without his mother. 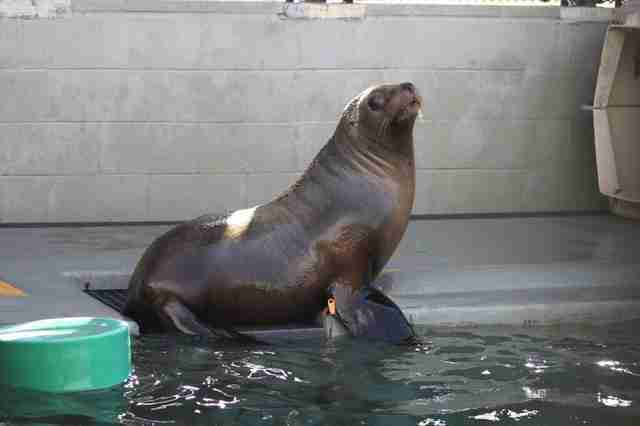 He's also a Steller sea lion - the largest sea lion species in the world. Though Leo was less than 100 pounds when rescued, adult males can reach up to 11 feet long and 2,500 pounds. 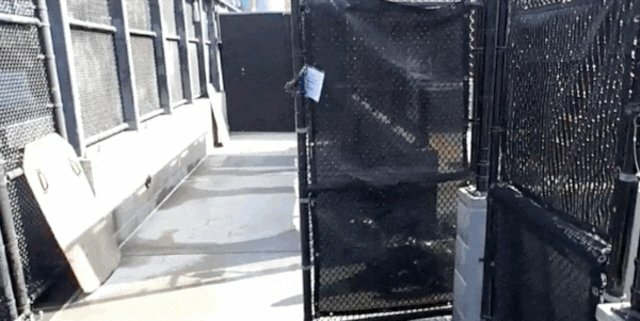 Leo began his rehabilitation at PAWS Wildlife Center, but because of the long-term care he would need, he was transferred to The Marine Mammal Center in Sausalito, California. The U.S. Coast Guard even stepped in to give the little orphan a special lift down to his new home. 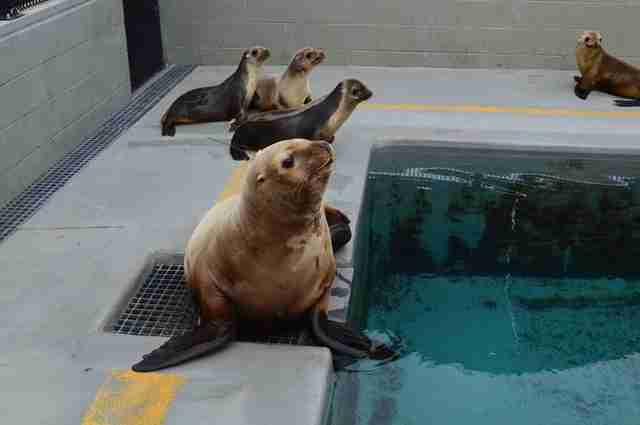 As the largest marine mammal rehabilitation in the world, the Center was also already overflowing with sea lions. The West Coast's California sea lion population is facing a crisis, and more than 2,000 orphans have already washed ashore this year. The small upside of the influx is that Leo was able to make lots of new friends. 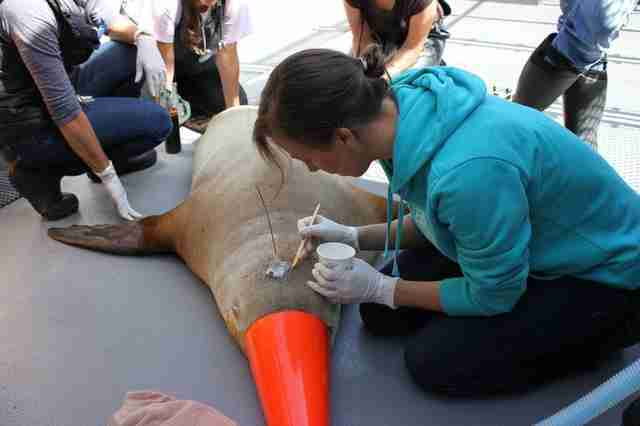 "Because Steller sea lions are a social species and often interact with other species in the wild, Leo's social development is important too," the Center wrote in an update. 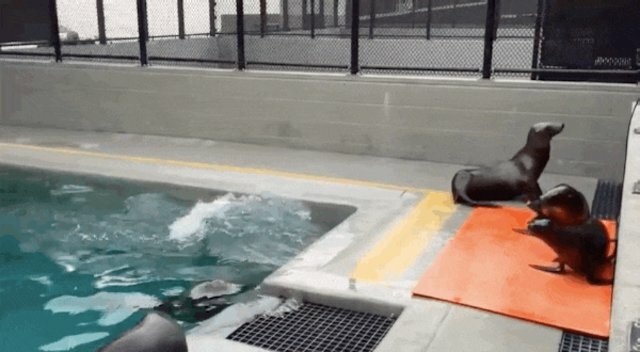 "He's been able to socialize with northern fur seals and California sea lions of all ages." Unfortunately, Leo's size didn't stop the other sea lions from sometimes picking on him. One of his playmates, a 4-year-old named Bubbly, was much smaller but the one in charge. A video shows him bossing Leo around, barking at him to get in the pool when he gets out of line. "Leo is young, so he needs to get a sense of the social structure in the wild," Dr. Cara Field, a veterinarian with the Center, said on its website. "With Bubbly taking a leadership role, he's modeling behavior that Leo can learn from and emulate once he's released." But Leo got lots of special treats too, like kelp fronds to play with and fish in frozen ice blocks to challenge him. He also had the chance to catch live fish, ensuring he could feed himself once released. "Our animal husbandry experts are working hard to ensure that Leo develops the skills he'll need to succeed in the wild," the Center said at the time. And the care showed. During his months at the Center, Leo nearly tripled his weight, gaining an incredible 150 pounds. Though he was the same age or younger than many of his playmates, pictures show the chubby youngster towering over them. On Monday, that hard work paid off. 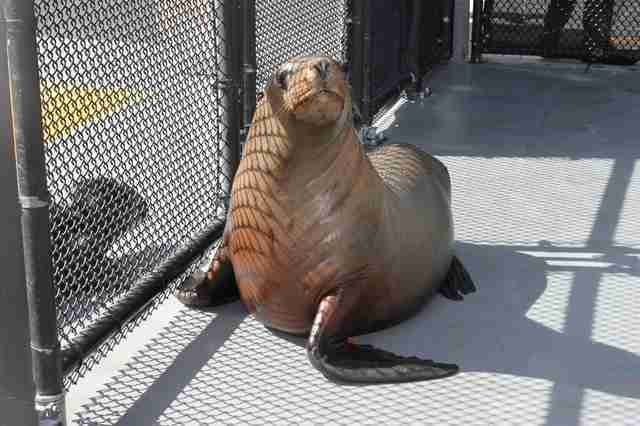 Outfitted with a tracking device and returned to the Washington coast, Leo the sea lion was finally returned to the wild. 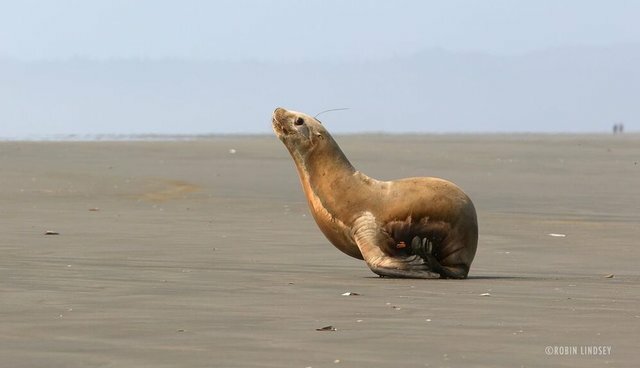 "Leo is now large enough to thrive in his natural habitat on his own and join the healthy population of Steller sea lions inhabiting the waters of the Pacific Northwest," the Center said in a statement. 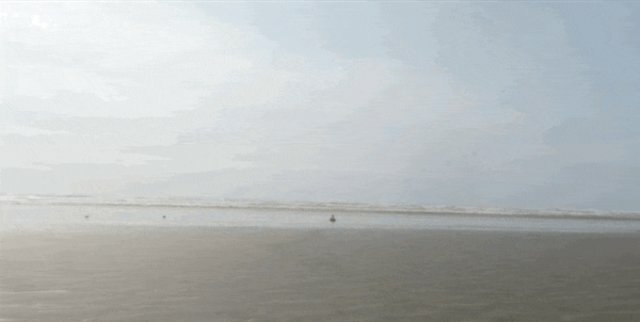 A stunning picture captures the happy youngster shuffling toward the beach, looking almost ecstatic as he once again sees the ocean. 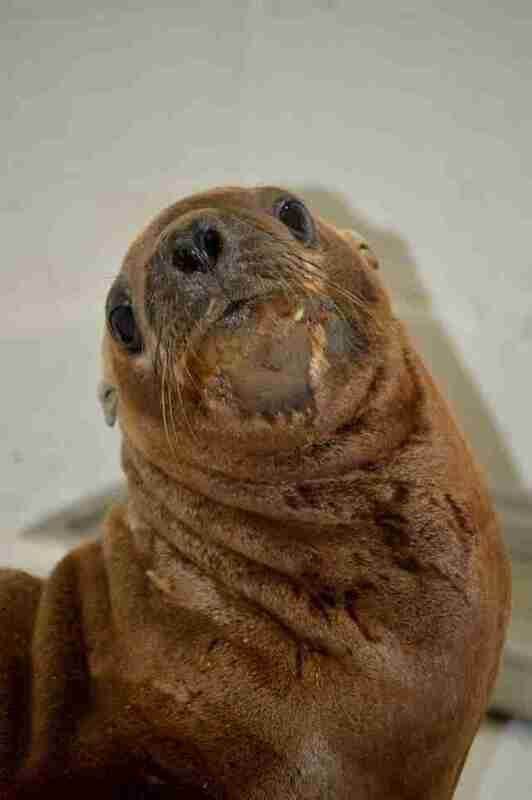 There are still hundreds of California sea lion orphans in care centers up and down the West Coast. 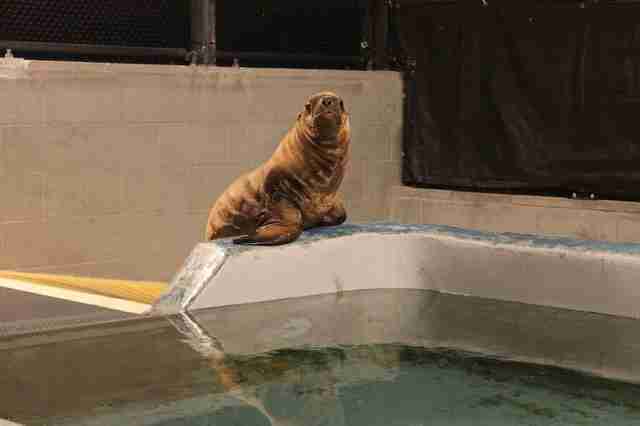 If you'd like to help with their care - and ensure more happy endings just like Leo's - you can make a donation to The Marine Mammal Center here.